I for my part can only agree to what you are saying about intentions in this discussion. Unfortunately, on both sides there are human beings, some more hot-blooded than others. “If there isn’t – then we DON’T scream at the chemtrail-believers, telling them they brought everyone out for nothing, and make them feel worse or less. We shake hands and try to explain our observations. This whole site is the very embodiment of that last sentence. Are you implying that this ISNT happening, and believers are being screamed at or made to feel stupid for just having a very basic human concern about something that is a worrying possibility, that then doesn’t happen to survive in the face of verifiable facts? Are you sure just aren’t projecting an expectation of how you would act or feel if you were on either side of the proven evidence? I know there are exceptions in the comments, usually following a rant from a believer who illogically and despite the clear evidence being presented in a clear calm manner, accuses this site of being a disinfo psuedo-science government plot. At which point I think a person is fully justified in saying to that person ‘you’re an idiot, and you are causing pain and confusion unnecessarily or even malevolently and that is WRONG’. But just having a concern that this might be happening, and if it is that’s terrible, is not wrong, it is the correct position for anyone to take, and NO-ONE has ever said any different. What is NOT the correct position to take is to persist in the belief it is still happening when, like in your comment, the conditions are met for providing ‘scientifically proven remarks’, that the evidence as used by believers, is explainable as normal phenomena – where it’s not just misrepresented, incompetently gathered and interpreted, or outright fraudulent by the originators of the hoax. No-one here seems to then take the position of going “Haha I was right and you were wrong so you’re an idiot!” I see no evidence of this, only concern and compassion for those who very rightly are worried about the possibility of nefarious goings on. This concern for actual truth and how it might help people’s peace of mind has resulted in the scientifically or investigatively verifiable data you can see and confirm for yourself here. And yes, totally, if you can find evidence that is not explainable to those here at this website, definitely get it out there and inform people. But make sure it’s correct before you do, or you are doing mankind a massive disservice. If it’s true however, yes, you would be a hero. Everyone wants to be a hero. The snow on Mt. Shasta has been tested many times and is said to contain toxic levels of aluminum and barium. People in N. Arizona who have filed a lawsuit regarding chemtrails claim to have documented medical tests showing toxic levels of aluminum and barium IN THEIR BODIES. This is purely an attempt at debunking. This person decided to set out to try and do that and… tried to, but fails. Geo-engineering is real. There are patents dating back decades ago; patents which specifically state aerosol dispersion and solvents containing metal oxides. Here is the deal for anyone else that comes by to read this slant put forth here: Bill Gates funnels money into this things that doesn’t exist (research it). Yes, you got it right, Gates likes to throw his money behind a fictional myth or fictional conspiracy. Also, look up David Keith. I agree it is purely an attempt at debunking. There’s a lot of bunk, and I point out what the bunk is. What’s wrong with debunking? Geoengineering is theoretical – there are no deployed projects. Yes, look up David Keith. But don’t just look up the out-of-context quotes that the chemtrail promoters use. Look at what he actually says. He’s AGAINST spraying, and says there’s no evidence that any spraying is going on. He also says that we need to proceed with extreme caution. water vapor from planes? 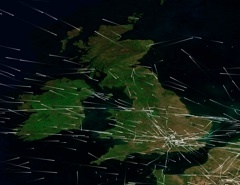 give me a break, they don’t leave streaks in the sky you can see from the ground and from the air and from space. come off it. total disinfo. Im not denying the fact that contrails could very well be perceived as chemtrails and vice versa… but chemtrails themselves are very real. Hughes Aircraft Patent #5,004,186. The evidence is out there. Type error on my above post. Its patent #5,003,168. Some funny stuff here, imho. So when we do manage to get a clear sunny day out, and we see the odd contrail, that actually does disipate, and the sky is a nice clear blue sky like the old days, I guess you will say, it’s a slow day for airline traffic or some such nonsense. Just because you show a couple of “photos” from 1967, and whenever, doesn’t mean a thing seeing as they’ve even photoshopped chemtrail and x’s even into old movies now. Lord some people are so naive as to believe you debunking sites, that are just more cointelpro shill sites throwing more confusion into the conspiracy soups of sites and disinfo out there. Oh well, you can fool many people all of the time, but there are a few of us out there that don’t buy any of your peoples BS. And I’m sure as usual, this post won’t be allowed either. That’s your mo’s. Ivehearditallnow, I think you need to read some more of the articles on this site. Your first point is addressed here. 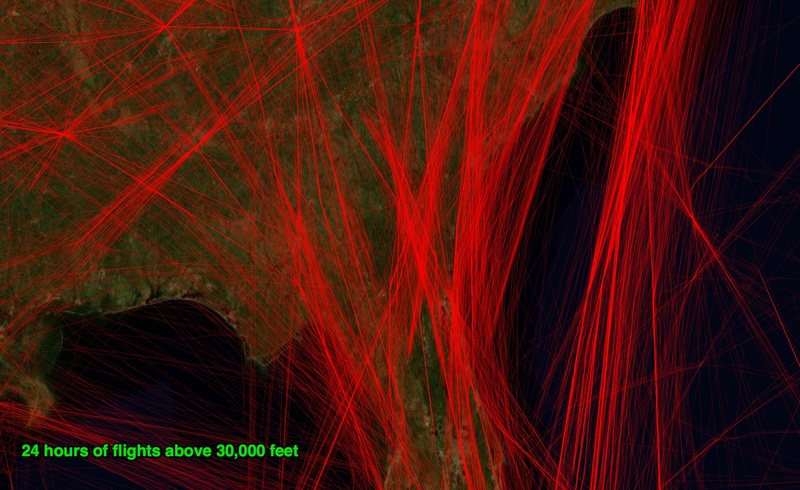 No, it’s not a slow day for air traffic. No one is here to sell any “bs” to anyone. If you don’t like the information here, please provide evidence to refute it. i hope my wife sees this site. i am not sure if she really and truly brlieves all that crap but she talks about it a lot. 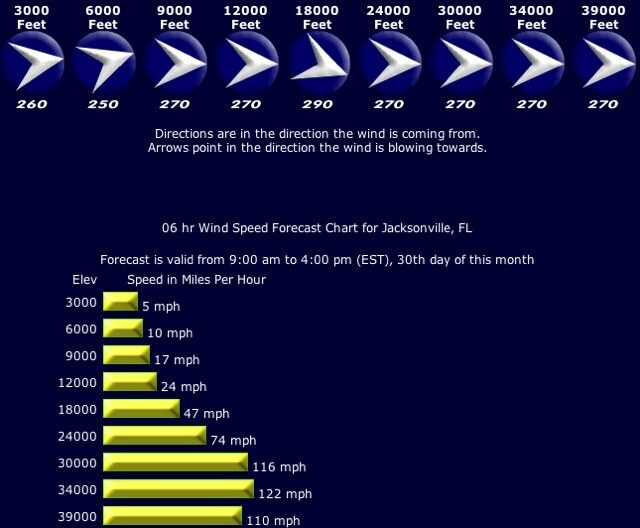 http://www.weathermodification.com/projects.php What is this then and this http://www.evergreenaviation.com/supertanker/mkts.html They both state “weather modification”. 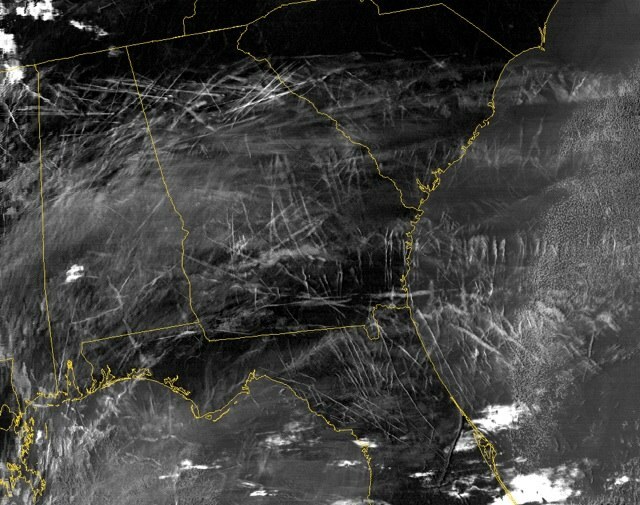 I am new to this as someone mentioned it in passing and I looked into it… Are the people claiming “chemtrails” referring to this or is it something else all together? 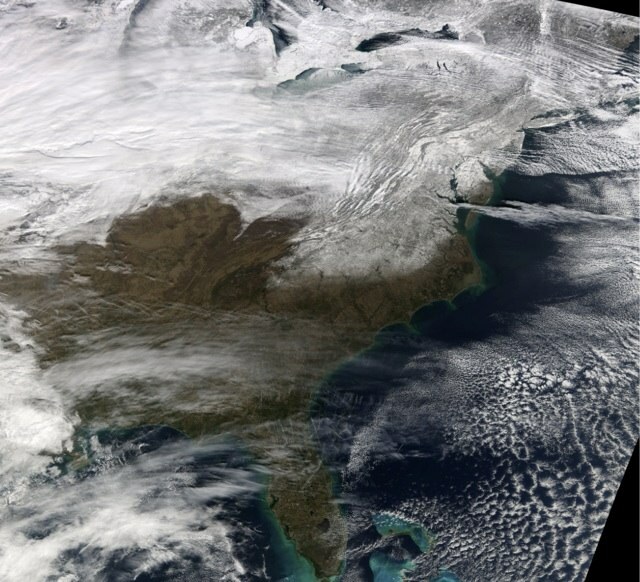 Weather modification only seeks to modify weather by influencing clouds to rain or snow or to prevent hail damage. 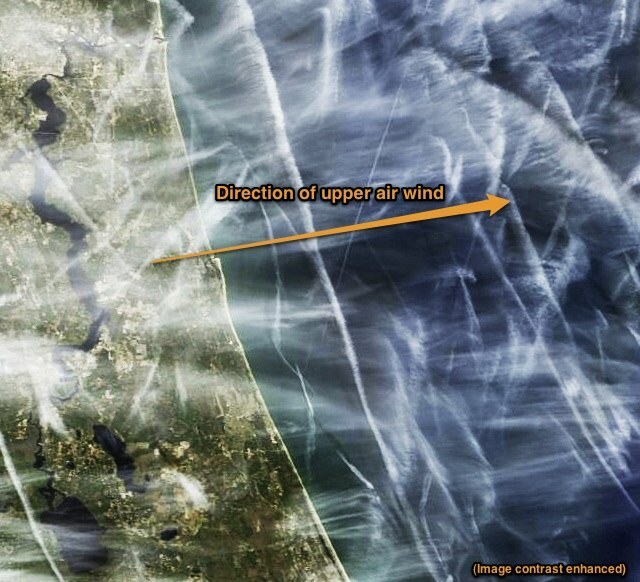 This takes place within weather systems far below the altitudes that contrails form, and is regulated by state permitting agencies in an open manner with public comments and strict scientific oversight and record keeping. 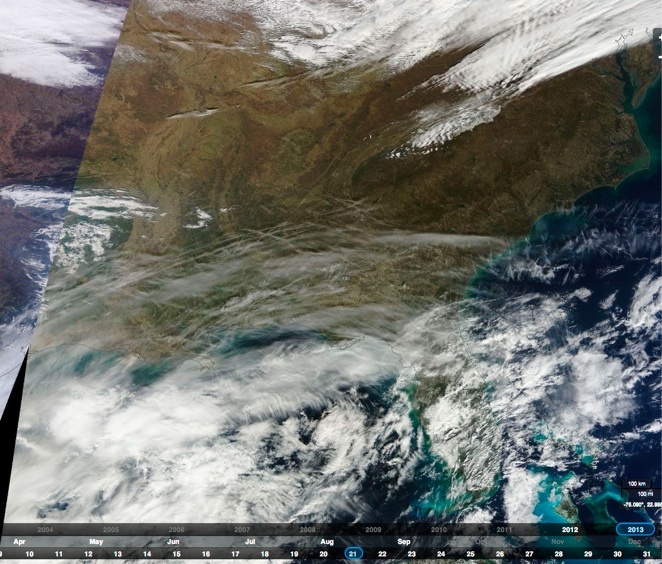 Weather modification is not a secret, and it leaves no trails like people are calling “chemtrails”. Uncinus, Nasa has admitted that these “Contrails” are now altering our global climate and compose up to 40 % of the global yearly cloud cover ??? There was also talk of a “scenario” that could be used in the future to combat climate change; at the Davos conference a few weeks ago. This scenario involves using high altitude planes to release sulfates into the upper atmosphere to reflect sunlight and cool the planet. Is this not the exact same thing as chemtrails ??? 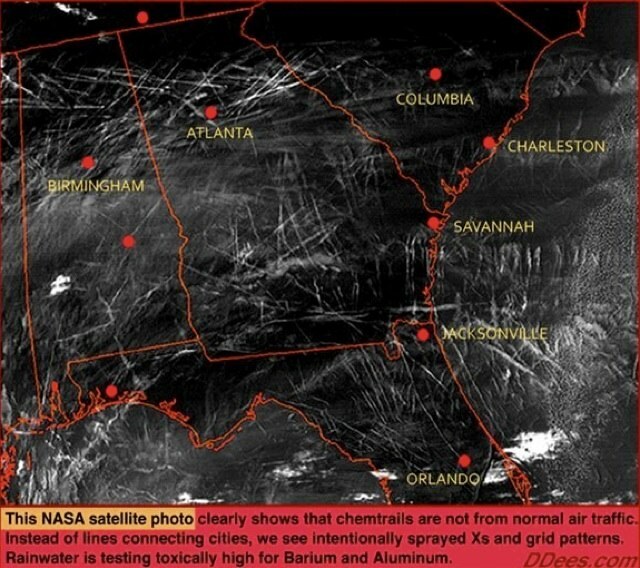 You are saying they are Contrails but they are doing the same damage as what others call Chemtrails?? Tomatoes – Tamatoes??? Either way these man made trails are completely effecting our planet and something needs to be done to stop it ASAP.. Do you not agree ??? ?Also the Weatherchannel is having a special this Sunday called Hacking the Planet & its all about weather modification ???? 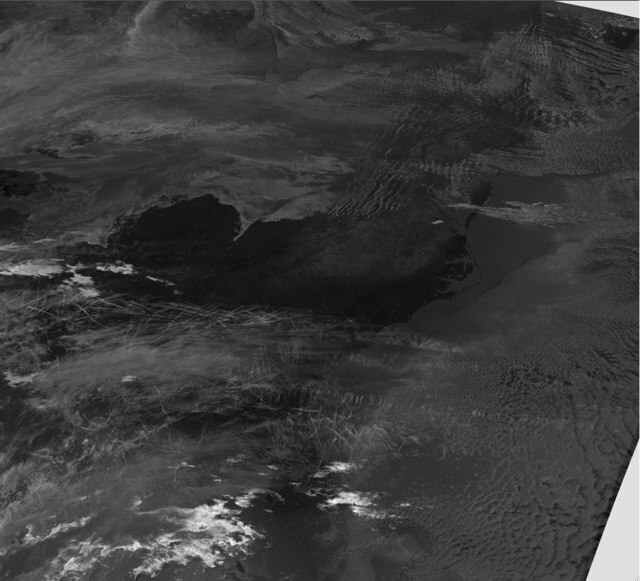 No- any effect caused by the current persistent contrails are incidental. Meaning that there is absolutely no intention to create them. Chemtrails implies intent. If you really want to get down to it, preventing the current persistent contrails would mean intentionally placing aircraft at altitudes that require higher fuel consumption and would therefore place more particulate matter in the form of exhaust in the atmosphere. Ivehearditallnow, could you maybe provide some evidence of the addition of trails to old movies IE link to a clip showing the film before the addition and a clip after the addition please. Trhuth seeker – do you have a link for that 40% cloud cover claim?? It seems very high so I would like to see the evidence behind it. “Weather modification only seeks to modify weather by influencing clouds to rain or snow or to prevent hail damage. This takes place within weather systems far below the altitudes that contrails form, and is regulated by state permitting agencies in an open manner with public comments and strict scientific oversight and record keeping. Weather modification is not a secret, and it leaves no trails like people are calling “chemtrails”. What do you base your claim on ? How versed are you in plasma physics and electric properties of nano metal composites? Have you studied this subject? I will be providing you many examples ( documents and testing ) that do not agree with your claim over at metabunk soon. “The crystalline structure of β-AgI is similar to that of ice, allowing it to induce freezing by the process known as heterogeneous nucleation.” That’s why mostly silver iodide is used for cloud seeding, but Russia is known to empty cement bags onto clouds to guarantee fair weather for May parades. Nano tech has diverse aerosol applications. I think CARE has been mentioned here previously, but that is just the tip of the iceberg. So what are those applications? how about being actually specific rather than throwing out broad claims. 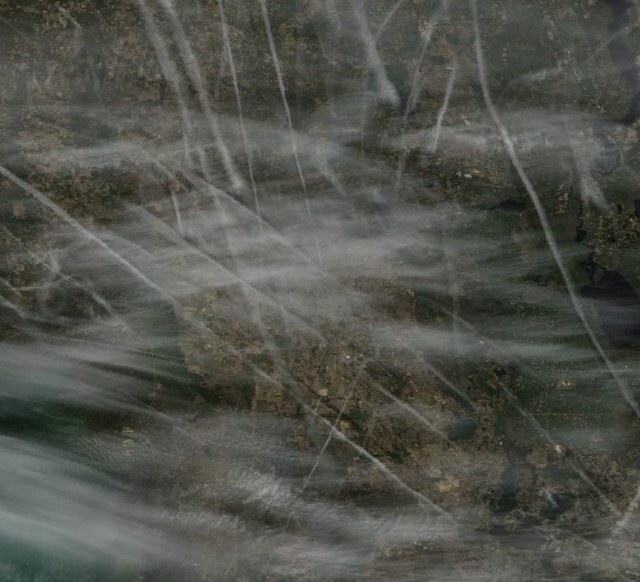 the discussion WAS about cloud seeding – now you seem to be wanting to change it. Time permitting I will be posting specifics over at metabunk. Looks like that will be about a week and a half. I am not in agreement with almost everything that chemtrail believers state, but believe that atmospheric tinkering is much more sophisticated than the current paradigm believes. The basic rule in disinformation is that around 95% of the exercise be true, so as to sell the 5% “nugget” of disinformation. This relies on peoples’ use of consistency as a measure of truth. 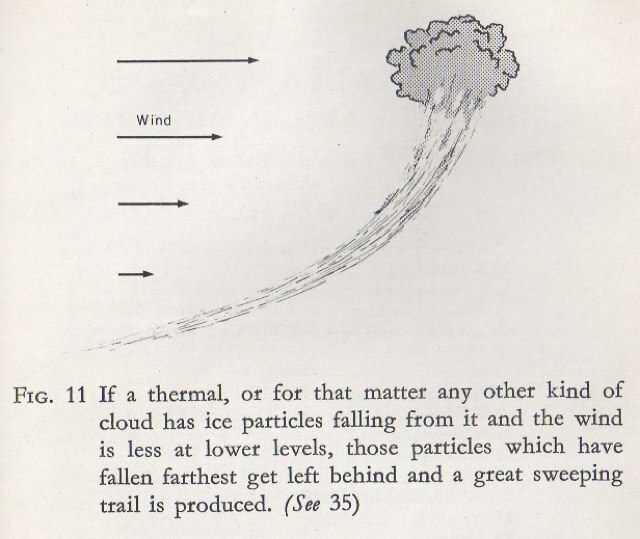 Contrail science is 95% correct, but the 5% where this site is wrong is what propels the interest to continue. Well, I’m aiming for 100%, so let me know what needs fixing. There’s about five or six pilots here that post regularly. Would you accept an explaination from a pilot? True, it’s not fair calling people nuts for asking questions. But if they discard any answers given, are married to answers without any evidence etc., well, they are fairly nuts.